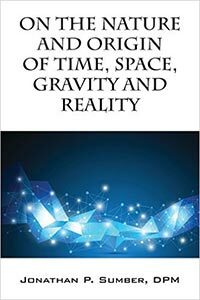 In 2016 I published the book - "On The Nature And Origin Of Time, Space, Gravity And Reality." The book is written in a metaphysical format as a comprehensive attempt to explain the role that dark energy may have in the universe and in our reality as well a revealing how this hybrid system of physics could possibly unify the small-scale and the large-scale together within a single theory of everything. The site had included two essays that have recently been removed because their content was updated and will be included in a new book that will soon be published called, The Three States Of Reality. This book is based on an hypothesis that our reality is of a virtual nature in which our mind transcends our physical brain, to extend into other dimensionalities; each forming a separate component of the totality of all that our mind encompasses. The virtual nature of the universe is created in two separate virtual processes, in which one process creates the perceived expressions of our reality, from functional quantum particles, while the other process creates virtual expressions from that which we only believe we perceive, but when examined more closely, we do not. Many quantum topics such as the quantum wave function, particle - wave duality, the propagation of electromagnetic radiation and its virtual nature, the measurement problem, as well as special relativity and general relativity, are each explained from within the physics of the hypotheses that are included within the book.